13% of Canadians felt when applying for a mortgage, a white lie to get the house they want is okay. Equifax further noted that since 2013 there has been a 52% increases in “suspected fraudulent mortgage applications. Such acts, CMHC warns, make the borrower liable for financial shortfalls should default occur, and they can be held criminally responsible. Aside from some borrowers inflating their income, CMHC believes that notices of assessment from Canada Revenue Agency can be printed and easily falsified. CMHC recently asked CRA to take a more active role in verifying income borrowers are claiming on mortgage applications. CMHC sees this association as necessary due to sophisticated increases in fraudulent threats. So CRA is looking into secure ways to share information with financial institutions conditional on client consent. Such direct access by lenders should speed up income accuracy and verification, speeding up the approval process. Builders of new residential properties remit the appropriate amount of tax GST/HST to the CRA. To Help First Time Buyers: the Liberal Government Budget included a First Time Home Buyer Shared Equity Incentive, and an increase in the RRSP Home Buyer Plan. 1. The First Time Home Buyer Shared Equity Incentive: One catch about this new initiative is that details of the plan won’t be out until sometime in September of this year, 6 months down the road. This may actually cause first-time buyers to wait it out until more details become available on how the plan will work. The basic information: Through Canada Mortgage and Housing, the government will contribute 5% for a resale home and 10% for a newly built home to bring down the mortgage on a shared equity basis. The money is interest free and there is no monthly payment. You can choose to pay it back at any time or when you sell the home down the road. What still needs to be unraveled is how the money is to be paid back. Will you simply be required to give the money back without interest or will the repayment include an equity share in the home’s value? With the second option, if for any reason the home’s value goes down will CMHC take a proportionate share of the loss? To qualify the down payment required is 5%, the minimum for an insured mortgage and a household income of $120,000 or less. As well, the mortgage including the equity loan is restricted to 4 times the household income. So at an income of $120,000, the maximum mortgage loan would be limited to $480,000. A household income of say $100,000 would qualify for a mortgage loan of $400,000. The 30-year mortgage gives a savings of $247.85 versus $119.88 and $239.65 per month. The 30 year versus the 5% assistance for resales ($247.85 - $119.88) gives a savings of $127.97 more per month. That would be especially significant for first-time buyers. 2. The RRSP Home Buyer Plan for first time buyers now allows a withdrawal of up to $35,000 per individual to purchase a home. Two first-time buyers in the same household can withdraw up to $70,000 for a downpayment to be repaid over 15 years. People in marriage or common-law partner breakdowns will also be able to participate in the Home Buyer Plan as of this year. The 2019 Federal Budget came out yesterday! It is always interesting to see the types of changes that the Federal Governments make each year. Attached is a summary of those changes. If you have any questions or concerns in regarding the budget changes, please don’t hesitate to e-mail me or call me. If you would like to review your financial plan or if any changes have taken place recently, please let me know and we can have a meeting. With tax season upon us, this is an important reminder: if you sold your home in 2018, you must report the sale of your principal residence on your tax return. The following is from an article we published previously. Close this loophole thus preventing foreign investors from flipping homes and fraudulently taking advantage of the capital gains exemption. To be clear, reporting the sale of investment property and payment of capital gains tax has always been a requirement. But because some have evaded their tax obligations, Canadian residents are now required to report all sales, including their tax-free principal home. On the sale of your principal residence, you will be required to complete Schedule 3 and file it with your income tax and benefit return for the taxation year in which the residence has sold. This form will ask for the year the home was acquired, the proceeds of the sale, and a description of the property. Of course, you must own the home, you and your family must ordinarily inhabit it, and you must designate it as your principal residence if the property was your principal residence for every year that you owned it. Understand that you can have only one principal residence in a particular year. It is likely that requiring the home’s description helps determine its use as a residence and any portion that may have an investment or commercial application. For sales in 2017 and later, you also have to “complete page 1 of Form T2091 (or Form T1255) if the property you sold was your principal residence for all the years, or for all but one year, that you owned it.” As well, a late filing might raise a red flag and result in a possible audit. CRA will only allow the tax exemption if you report the sale and the designation, as your principal residence in your tax return. So what if you forget to Report the Sale? If you forget to report the sale, you must amend your return though a penalty may apply comprised of $100 “for each month from the original due date to the date your request was made” or $8,000 whichever is less. So claim your exemption and avoid any penalties or even a possible audit by reporting your sale. Is Cannabis Still a Stigma When Buying? In real estate a stigmatized property can be one that buyers, even tenants, may reject, prefer to avoid or devaluate for reasons not related to its physical condition. Stigmas can include murder, suicide, any criminal activity and some negative public perception not related to a home’s physical condition. 64% of Sellers felt that smoking marijuana in the home would harm its resale value and 57% believe growing the legal limit of four plants would impact on their home’s value negatively. 52% of Buyers said they would not consider buying a home that grew the legal limit. So, smoking and/or growing cannabis in a home is viewed as a stigma for a majority of buyer and sellers. More and more, brokerages include a typical clause in agreements in which sellers represent and warrant that during their ownership, the buildings and structures on the property have not been used for the growth or manufacture of illegal substances. We have amended the clause to include the growth or manufacture of legal substances as a reference to marijuana’s new status and its continued negative perception with both buyers and sellers. How Does This Warranty Effect Rental Property? As or April 1st, 2018, landlords must use the new mandatory lease agreement for any tenancy from that date forward. Ontario also gives landlords the option to include as a schedule to the new agreement that can include a clause that prohibits the smoking, vaping or growing of cannabis. This restriction, however, cannot be added to tenancy agreements existing prior to April 1. Recently an offer to purchase was presented on a four-unit apartment that included the clause referenced above about the property not being used for the growth or manufacture of legal or illegal substances. As part of the counter offer, the seller and his lawyer deleted the clause for valid reason. As rental units the seller was unaware of the tenants’ activities regarding cannabis. What’s more, with legalization, tenants with rental agreements prior to April 1 are entitled to grow up to four cannabis plants per household, and the landlord has little recourse if any. Even if a new mandatory lease were in place that included the cannabis restriction, how could a seller warrant that the tenant did not abuse the agreement? It would be risky to do so as enforcement by the Seller is not easy. Even enforcement by the landlord of limiting growth to four plants might be difficult in some instances. Are Niagara Region House Prices Dropping? One of the questions homeowners continue to ask lately is, “Are prices dropping?” A legitimate question when they notice “New Price” and “Reduced” stickers on any number of for sale signs, not to mention homes lingering on the market, unsold compared to last year. The median price by and large is up by about 4%. Of course average and median prices cannot determine how any one home or neighbourhood has performed. They do, however, point toward general market conditions and trends. As well, in certain districts within the region and in high-end properties average and median prices are down somewhat. The hot seller’s market of 2017 brought about a sizable increase in sale prices. By the end of December 2017, the overall average sale price for the region was up by about 23.8% and the overall median price by 21.2%. Homeowners still have the benefit of this appreciation. Yet in many cases, sellers this year have overextended their asking prices, possibly thinking that prices were going to continue to rise to a similar degree as last year. Such a strategy has not served them; hence the noticeable number of price reductions and listings that remain unsold. Market conditions change and experience has shown that there is often a delayed reaction to such shifts on the part of sellers. The number of out of town buyers coming to the region has dropped as sales of single family homes in and around Toronto have gone down as well as their average prices. Interest rates continue to inch up shrinking affordability and creating buyer concern. In spite of this, and to reiterate, prices for the most part have gone up, and properly-priced homes continue to sell. Even during the hot seller market overpriced listing prices did not result in a sale. Today properties have to be priced to attract buyers and their representatives. In a hot seller’s market buyers fear they might lose out. In a slower market buyers fear they might pay too much. They question whether their home purchase will maintain its value. Christmas is fast approaching and for many of us the stress of social and financial commitments detracts from the celebrations and enjoyment of the season. The better prepared you are, the more likely you are to enjoy the festivities. Here are five steps that may help you make better decisions around planning your Christmas events. The fact is, people who overspend on Christmas gifts and parties by putting everything on credit may have a wonderful December, but an incredibly stressful January. If you aren't able to pay off the entire credit card bill when it comes in after the holidays, then you've spent too much. Perhaps it is the fear that friends and family will consider us similar to the character Scrooge, from Dicken's A Christmas Carol that cause us to overspend. The truth the financial burden of spending more than we have creates a far more dire reality than any perception of being "cheap". In your Christmas planning, you must establish boundaries. Financial Boundaries (often called making a budget) — How much money do you have to spend on Christmas? Scheduling boundaries — How many Christmas parties can you logically attend? Hosting boundaries — How many people can you feasibly host? As a result, 'no' must become a part of your Christmas vocabulary. For many, Christmas is about a time of over-commitment, so it is essential that we know our limits. You can express your love and appreciation for people without spending money. Marketing over the years has become extremely effective at associating buying expensive gifts as showing how much you love someone. We need to reset that misconception. If you are handy or crafty, make a gift. It could be a scrapbook from a special event, an upcycled piece of furniture or event passing along a cherished family heirloom like grandma's teacup. It could be as simple as a handwritten Christmas card you've made yourself. 3. Make a list and check it twice, then check it again. Start your list by writing your total gift budget at the top of the page. Then start writing down a list of everyone you'd like to give a gift. Go through your list and allocate portions of your budget to everyone on that list. This may take several passes to make sure you don't go over your original limit. Whilst going through your list, who will get a store bought gift? Who will get a lovely handwritten card from you? Who will get the gift of your time and energy? Taking the time now will prevent impulse buying and overspending when you are at the mall. Even though the stores decorate for Christmas earlier and earlier each year, it can be a positive trigger for you. Start saving as soon as you can so all of the bills don't hit you in December. Take a look at your total budget and look at how many paycheques you have between now and Christmas. Plan to put equal portions of each pay aside to match your budget. If you aren't able to do it, then take another look at your budget - perhaps you'll have to decrease it. Time is always a friend of a savvy shopper. Stores almost always have sales, but they don't put everything on sale at the same time (typically). This means that if you start watching for sales today, you can snag a pair of running shoes for junior today, and then in a few weeks they might have a video game on sale. Far too many of us wait until the last week and are forced to pay full price for everything. But since you've already got your list, your budget, and you're even setting aside money, you can start taking advantage of sales now. Mr. Will Dunning, Chief Economist for Mortgage Professionals of Canada, released an insightful report called, Owning Versus Renting a Home in Canada, release September 2018. According to the Canadian Real Estate Association, over the last twenty years, home prices in Canada have appreciated by an average of 6.2% per year. According to CMHC, rents over the past twenty years have increased by an average of 2.7% per year. Given the discrepancy, does home buying still make sense and are young people better off renting? Notwithstanding the perceived “deterioration in affordability” due to price increases, “Canadians remain highly interested in becoming homeowners, and they continue to succeed at buying homes.” Mr. Dunning reports that compared to renting, those able to invest in ownership would be better off in the long term as opposed renting. He agrees that upfront monthly costs for renting can be cheaper in most locations. However, the net cost of owning a home compared to the comparable rental cost is less and more cost effective over time. And that’s without considering a home’s appreciation. Over time the cost of owning or renting will both rise. The net cost of owning, however, takes the following into account. The largest cost of ownership is the mortgage payment which typically becomes a fixed amount over the term of a mortgage contract, as in a five year term. During this period, and with each mortgage payment, a portion of the principal is paid down increasing the owner’s equity in the home. This savings effectively reduces cost resulting in a net cost savings. According to Mr. Dunning, the result, based on a Canadian average price of $569,849, 20% down and a 3.25% over 25 years is as follows: On average, the cost of owning exceeds renting a similar home by about $541 per month. Yet once the “the principal repayment is considered, the net cost of owning is $449 less than the cost of renting.” Over 25 years or less, once the mortgage is paid off, he projects the cost of ownership at about $1,549 per month versus $4,655 for renting a corresponding dwellings.What’s more, because the lifetime costs of housing is lower than that of tenants, owners have a greater opportunity to accumulate more savings tend to be better off financially. How Does This Pan Out in Niagara? The regional overall average price year-to-date is about $470,000. Based on the same parameters as above, the net cost of owning exceeds the cost of renting by about $640. Minus the principal repayment, the net cost of owning is $380 less in the first month. Over year it’s about $6,400 less. Not Acting in Time: The buyer may not have acted within the time frame specified in the offer to arrange a mortgage and, instead of requesting an extension of time, removes the mortgage condition on the assumption that arranging a mortgage is “no problem. Left with a condition-free offer the buyer scrambles to get the mortgage funds and ends up with a high-rate private mortgage with high upfront fees and payout penalties. a. Seller Won’t Extend: Alternatively, the seller is getting a lot of interest and refuses the buyer’s request to extend the mortgage condition. The buyer takes the risk of removing the condition making the agreement firm and binding. In this scenario, the mortgage company is often awaiting additional paperwork from the buyer before committing, such as: tax assessments or a letter of employment and income verification. b. A Conditional Approval: The lender may have given the buyer an approval conditional on the appraisal of the home being purchased and buyer removes condition. The seller who might not allow an appraiser to view the property once the mortgage condition is removed. Buyer Misunderstand the Process: The buyer may fail to understand that aside from being approved, the lender may want to approve the home by way of an appraisal. The lender will approve a mortgage based on the lesser of the purchase price or the appraised price. The buyer could be caught short of downpayment funds if the valuation cannot justify the price paid. The buyer makes a cash offer in the hope of negotiating a lower price, all the while knowing that funds need to be borrowed to close the sale. This approach too can be harmful if sufficient funds cannot subsequently be borrowed. The mortgage stress test for conventional mortgaging added to this dilemma when it came into effect. Credit Purchases Before Closing: Prior to closing the buyer makes substantial credit card purchases--for say furniture and appliances--that negatively affect credit qualification. Then the lender, as a common practice, checks the buyer’s credit one last time before closing and discovers that the credit purchases no longer qualify the buyer for the needed mortgage. Buyers would be wise to avoid this between signing an offer to purchase and closing date. Incomplete Paperwork: The mortgage agent or representative for the lender did not have all of the proper paperwork in place and the mortgage, conditional on documents to be received, was withdrawn. As you know, the internet can be a great source of information. Some buyers though are too anxious to start looking at homes without confirming what they can afford with a lender. And with today’s mortgage stress test, the need for a buyer to confirm their mortgage affordability is more critical than ever before. In one such case, a young couple assumed they could afford their desired price range in spite of the salesperson’s encouragement to obtain a pre-approval. So they viewed some ten homes and signed a purchase agreement conditional on obtaining a mortgage and a home inspection. After meeting with their lender they were told they did not qualify for the price of the home they were buying. Though they did qualify based on the current mortgage rate, they failed the stress test. Such an occurrence affects about 18% of prospective buyers today. They would have to reduce their expectations by about $30,000 to buy or increase their downpayment. As well, the salesperson, against his better judgment, was influenced by their confidence, enthusiasm and motivation to buy. He also did not want to lose them as a client. He might have taken one more step though and suggested that, though he cannot pre-approve them, he can certainly run through the same exercise a lender uses to find out what buyers can qualify for based on their income and debts. The couple was initially upset with the bank but mostly at themselves. They felt the salesperson had done a good job and admitted they should have followed his advice before proceeding. Because of their let down, they decided to put a hold on buying. They did not want to reduce their expectations on the home they wanted. They wanted to save a larger downpayment, about $20,000 more, which they determined would take about two years at a savings of $10,000 per year. Yet buying a lower-priced home today might turn out to be the better strategy, and here’s why: According to the latest statistics, the average house price across Canada has risen by about 6.2% per year for the last 20 years. As an example, barring a downturn and if things remain equal, a $300,000 house today would potentially be worth around $338,000 in two years. If the buyers purchased a home at a lower price today of $270,000 to qualify, after their downpayment of $30,000 they would have a mortgage of $247,440 with CMHC insurance of 3.10% added. Given the 6.2% average annual increase, this home might be worth about $304,500 in two years. That’s a potential gain of $34,500. As well, if they paid down the mortgage by the $10,000 per year they planned to save, their equity would increase again by $32,738. They would then have the following equity: the original $30,000 down, the capital gain of $34,500, plus an additional $32,738 from reducing the mortgage principal. That’s a total of $97,238 allowing them to buy a better home in two years. It’s worth pursuing. To uncover tax avoidance on real estate deals, CRA collaborates with provinces, territories and municipalities and continues to improve on tools to combat non-compliance. One legal tool to uncover taxes and GST/HST on assignment sales is their unnamed persons requirement. New homes, rental properties and substantially renovated properties are subject to HST. So Builders and Developers are required to remit the HST on selling, renting a new unit for the first time or on personally moving into one of the properties. Under the “unnamed persons requirement” issued to developers and builders, CRA can obtain the identity of any buyer who is not reporting properly for income tax and HST purposes. As well, purchasers of new homes can apply for a new home HST rebate provided the home is used for their primary residence. In many cases, as the builder includes the HST in the price of the home and pays it on behalf of the buyer, the builder also applies for the rebate as it is taken off the price to benefit the buyer. If the buyer is not going to use the property as their primary residence, the rebate does not apply and must be paid to the builder on closing. This HST rebate provision can also get abused by some buyers. On flipping property, any profit must be reported as business income and not as capital gain. Buyers also cannot avoid compliance by pretending to use the property as their non-taxable primary residence. CRA is also looking closely at “pre-construction assignment sales” in which a condo or home is sold to another buyer before completion of the home or unit. Failure to properly report can result in re-assessment of taxes owing and arrears interest. For “gross negligence” a penalty of 50% of the tax avoided would be imposed. A Financial Post article dated May 25-18, by Jamie Golombek, CPA, mentions a case that involved a real estate salesperson and her granddaughter. In 2006, the salesperson purchased Unit 6 and the granddaughter purchases Unit 5. The deals both closed in June 2010 and were resold by the next month. No income relating to the condos was reported with their individual 2010 tax returns. CRA reassessed and established that the buyers failed to report business gain of $103,206 on Unit 6 and $106,025 on Unit 5. They failed to further report their profits and so CRA charged both with gross negligence. In court, after hearing arguments, the salesperson grandmother was found guilty of gross negligence. The granddaughter a 21-year old was relieved of gross negligence as she relied on her grandmother and father, both real estate agents, to tell her if reporting her income was necessary. If you want to make an investment that adds value to your home, consider landscaping, which covers practically everything on your property other than the house itself. Landscaping upgrades can involve things like patios and decks, flowerbeds, barbecue pits, watering systems and plants of all sorts. As you enter into a landscaping project, you have plenty of choices about what kinds of upgrades to make. It doesn’t take much to understand the economics of increasing property value through landscaping upgrades. A well-placed, properly sized tree, for example, can provide visual enjoyment simply by looking pretty. It can also smell good and sound peaceful in the breeze. It can shield your home from summer heat. It can provide recreation for your kids, or support for a hammock. A good tree provides pleasure and utility, and these things translate to increased property value. The same idea applies to all landscaping: If a given improvement offers something that prospective buyers want, then your property value will rise. Also, as the tree grows, the value of replacing the tree grows as well. Thus buyers will value larger and more established trees and shrubs higher than those newly planted. Though experts agree that landscaping improvements usually raise a property’s value, it can be extremely difficult to predict exactly what kind of gains a specific homeowner will see in her individual circumstances. Thornton Landscape president Rick Doesburg uses 15 percent as a ballpark figure when advising clients, but he stresses that estimates vary by home and notes that the lasting effect of landscaping requires ongoing maintenance. Virginia Tech horticulturist Alex Niemiera arrived at a similar figure -- 12.7 percent -- in his research. In extreme cases, property values can more than double, and they can actually decrease if the landscaping contains undesired features that the local market doesn’t support. When considering the property value increase of a landscaping upgrade at your home, you must take into consideration the cost of actually installing the new landscaping, as well as the cost of continually maintaining it. If your primary intent is to increase your home’s value rather than derive added enjoyment from your yard, treat these costs as investments and make them cost-effective. Professional landscapers can discuss the options with you. For example, perennials and bulbs can add color and style to your property all year long. Other cost-effective improvements include aesthetically pleasing architectural improvements, such as stone walkways and terracing that require little or no maintenance. Landscaping upgrades have a number of variables that go into the property value equation, some of which you cannot control. For example, according to Mark Henry of Clemson University, the quality of landscaping on your neighbors’ lots also affects your home’s value. Even the general quality of landscaping in your whole neighborhood has an impact. If one of your adjacent neighbors has a particularly bad yard, you might want to talk with him to see if he would be willing to make any improvements. Another important factor to consider is the contractors who do your landscaping upgrades. Many companies vie for this kind of business, and choosing the right contractor can make a lot of difference. Find a contractor with whom you are comfortable, who is honest and patient, and who can show you a good track record. Lastly, pay attention to the details. Michigan State University horticulturist Bridget Behe notes that a subtle, small change, such as curving the edges of your flowerbeds, by itself can increase your home value by 1 percent. “As otherwise provided.” This allows the parties to agree to a longer period to deliver the deposit, and can be a better choice for out of town buyers. Regardless of how it’s submitted, a deposit secures the agreement in a number of ways. The buyer has “skin in the game”, money he stands to lose if he doesn’t follow through with his promises under the contract. To that end the deposit should be meaningful. That is, it needs to be an amount that the buyer would not want to lose. It commits the buyer to act in good faith in striving to meet any conditions (such as obtaining mortgage financing, a home inspection for instance) and to complete the purchase. What Happens When No Deposit is delivered? The purchase agreement clearly states that “time is of the essence.” So meeting any obligation under the contract has to be adhered to within the time period stated, including delivery of the deposit. Otherwise the seller can take the view that the offer has been repudiated, hence the buyer is in breach of contract. So What Can the Seller do? Write a letter to the buyer stating that if the deposit is not received within say twenty-four hours from the date the letter was communicated, the seller will declare the contract terminated. The seller can also pronounce the offer null and void immediately after the time for receiving the deposit expires. The issue becomes even more important when other interested buyers are waiting in the wings. As an example, recently a second offer for more money was accepted by the seller as a back-up offer, conditional on the seller being released from the first offer. The first buyer not only failed to deliver their deposit within the twenty-four hours stated, the seller still had not received it by the end of the fourth day. On day five, and due to the breach, the seller declared the first offer null and void. The seller’s lawyer agreed with the seller’s decision and felt any challenge by the rejected buyer would be an assured win for the seller. Yet to avoid such a possibility, the lawyer asked for signed releases if possible. The buyer signed releases without a problem and likely to his benefit as well. If he were to legally challenge the seller’s repudiation of the offer, the seller could still be awarded the deposit in spite of the fact that the seller did not receive it or lose any money. How can first time buyers afford to buy a home today? he stress test imposed on insured mortgages by the government in fall of 2016. A most convincing answer to the question comes from a recent survey by the Mortgage Professionals of Canada authored by their economist William Dunning. Before 1990 the average downpayment for first time buyers was 21% and 66% had down payments of less than 20%. Between 1990 and 2013, that average down payment hovered between 21% and 22%. The percentage of first time buyers with less than 20% down ranged from 56% to 62%. In the most recent buying cycle, between 2014 through 2017, the average down payment increased to 26%, and the percentage of first time buyers with less than 20% dropped to 42%. Under the National Housing Act, any purchase with a down payment of less than 20% requires mortgage insurance which varies in cost depending on the percentage down. A down payment of 5% to 10% attracts the highest premium of 4% which is applied to the mortgage. On a $300,000 mortgage $12,000 would be added and the mortgage payment is based on $312,000 total. The cost of mortgage insurance has increased as follows for 5% to 10% down: until May 31, 2015: 3.15%, as of June 1, 2015: 3.60%, and as of March 17, 2017: 4.00%. Finding sources to increase down payments can avoid the cost of mortgage insurance. In turn, it decreases the loan amount giving the buyer a better chance of passing the stress test which, as of January 1, 2018, is being applied to most mortgage amounts. Currently it has been reported that some 20% of mortgage applicants are unable to obtain the mortgage applied for due to failing the stress test. In the latest buying cycle (2014 -2017), most first time buyers used an average of 2.2 sources of funds for their down payment. Only about 47% used one source. The following gives how much of the down payments came from various sources. Though buyers rely on any number of sources, parents have played a greater role in assisting with down payments through loans and gifts. The most important source continues to be personal savings at 52%. Loans from financial institutions are next highest at 21%; family gifts at 10%; family loans at 5%; and 9% from RRSP/Home Buyers Plans. Thanks to William Dunning for this report. Are you one of over 1 million Canadians who will renew your mortgage in 2018? If so, you have reason for concern. As of January 1, 2018 the Stress Test has been introduced and must be implemented for all new mortgage approvals. Interestingly, it’s stunning how many people know little or nothing about the stress test. More often than not, when the phrase “stress test” is mentioned, the reaction is, “what’s that?” As of January 1st, anyone applying for a mortgage would have to undergo the stress test in the following manner. At 3%, let’s say you will qualify for the mortgage you want. To be approved, however, you must be stress-tested at the current qualifying rate of 5.14% or your contract rate of 3% plus 2% whichever is greater. In this instance you would have to qualify at 5.14%. The stress test might cause you to fail and so your mortgage application would be denied. You do not have to be stress-tested if you are renewing your mortgage with your current lender if that mortgagee is federally regulated by The Office of the Superintendent of Financial Institutions (OSFI). Provincially regulated lenders, such as Credit Unions, are not required to perform stress tests. They are, nevertheless, encouraged to do so. In a recent application a senior wanted to borrow an additional $25,000 against her home, valued at $300,000, to purchase a new car. This would increase her registered line of credit from $50,000 to $75,000. She has no other debts and an excellent credit rating of 790. On her income, however, she failed the stress applied by her bank. She then went to a Credit Union who also stress-tested her. A debt of $75,000 against a $300,000 home gives her a very low loan-to-value ratio of 25%. Yet the mortgage was denied. There has got to be something wrong with this. If you're waffling whether 'tis better to work with what you've got or start fresh somewhere else, Bud Dietricht, IAI, architect's insight can help. 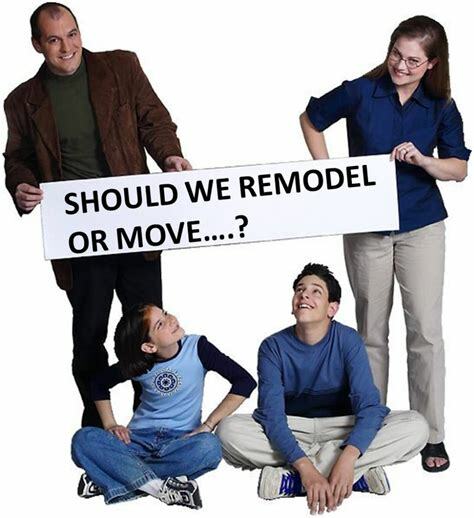 Do you stay where you are and renovate your existing house or do you move to another, maybe newer, house? How do you make that decision? Some will counsel you to leave that old house and buy something new. Others will tell you to tear it down and build new, while others still will tell you to stay and remodel. So how do you make that go or no-go decision? What criteria do you use to make a rational decision to stay put and renovate or move on? Here are some questions to ask yourself. Your answers will certainly help you decide on your next move. Is it a place you enjoy? What about the neighbors? What about amenities? Are you happy your children go to the local schools? In sum, make sure that the neighborhood is the right fit. Take to heart the old adage that you can always fix a house but you can't fix a neighborhood. Is there some intangible quality to your house? While not every house has a significance beyond simply providing shelter, many do. Whether it's age or design or some other quality, a home that has significance shouldn't be subjected to the wrecking ball. Expanding, renovating and adapting these homes are sure ways to keep that significance alive for future generations. Does renovating make economic sense? There are a whole host of factors to weigh when it comes to this question. If you're renovating, there's not only the cost of the renovations. There could very well be associated costs, such as temporary living quarters while the house is under construction. Additional costs are also associated with moving (such as Realtor fees and decorating the new house). Determining whether to go or stay requires that you identify all of the costs, not just the construction costs, before making a decision. Does the existing house have good bones? Not every house is a good candidate for a renovation. While there might be a reason to rebuild an old historic barn that's full of memories, a 20-year-old tract house with a failing foundation or another significant defect might not be a good candidate. So make sure to assess, or have a professional assess, the bones of your house to see just what lies beneath those foundation cracks and less-than-level floors. How will the latest zoning restrictions affect the project? If your house is older, it very well could have been built under different, often more lax, zoning restrictions. While your house may suit you better through the benefits of these laxer restrictions, a new house in its place might not. Evaluate height, distance to property lines, yard dimensions and so on to see if saving the existing structure provides some benefits that would be lost if the house were razed. Can I be patient and have fun with the project even when it isn't going well? In any case, building a new custom home or renovating your existing house will require you to make countless decisions. From the macro, like how big and how much, to the micro, like what hardware you want on the kitchen cabinets, you'll spend countless hours on Houzz and elsewhere researching what you like and what's available. If you're new at this, you'll likely want to have a professional help you every step of the way, so you can avoid "We should have done ... " or "Why did we ...?" Being patient is key. And starting at the right place for you — whether it's where you are or somewhere new — will make the end result truly worth the journey. Assess your present household budget and your annual income to determine if you are eligible for a mortgage and how much you can comfortably afford. Also check out the Mortgage Affordability Calculator at www.REALTOR.ca. A mortgage is a loan, generally used to buy a property. How much you pay depends on how much you borrow (the principal), the loan's interest rate, and how long you take to pay it back (the amortization period). Do not be afraid to negotiate interest rates and mortgage terms with different lenders. They are offering you a product and talking to more than one lender helps you make an informed decision. When you buy a home with less than a 20% down payment, the mortgage needs to be insured against default. This type of insurance protects the mortgage lender in case you are not able to make your mortgage payments. It does not protect you. The federal government has assistance programs to help homebuyers. Research government program requirements to see if you are eligible. Mortgage lenders use two calculations to help determine your eligibility for a mortgage - your Gross Debt Service (GDS) ratio and your Total Debt Service (TDS) ratio. Your GDS ratio is the percentage of your gross monthly income used for mortgage payments, taxes and heating costs or - if you are buying a condominium - half of the monthly maintenance fees. As a general rule of thumb, your GDS ratio should not be more than 32% of your gross monthly income. Your TDS ratio is the percentage of gross monthly income required to cover monthly housing costs, plus all of your other debt payments, such as car loans or leases, credit card payments, lines of credit payments and any other debt. Generally, your TDS ratio should not be more than 40% of your gross monthly income. Getting pre-approved for a mortgage before looking at properties gives you a more realistic expectation of what you can afford. However, keep in mind that the pre-approved amounts can overestimate what you can actually afford to pay. Pre-approval does not guarantee you will be approved once you actually apply if market conditions, such as interest rates, or your personal circumstances change. Order a copy of your credit report to make sure it does not contain any errors because lenders will check it before approving you for a mortgage. A credit report is a summary of your financial history and shows whether or not you have had any problems in the past paying off debts. The Financial Consumer Agency of Canada (FCAC), a federal government agency, has tips on how to order your credit report for free and how to improve your credit rating. Visit FCAC's website at: www.itpaystoknow.gc.ca. Fixed rate mortgages: Your interest rate is locked in for a specified period called a term. Your payments stay at the same for the mortgage's term so you will not pay more if interest rates increase over time. Variable rate mortgages: Rate of interest you pay may change if rates go up or down. Conventional mortgages: Require a down payment of more than 20% of the property's value. You are not required to get mortgage default insurance with a conventional mortgage. Closed mortgages: The mortgage cannot be paid off early without paying a prepayment charge. Open mortgages: A mortgage that can be paid off at any time during the term, without having to pay a charge. The interest rate for an open mortgage may be higher than for a closed mortgage with the same term. What mortgage features are best for you? Portable mortgages: If you sell your existing home, you can transfer your mortgage to your new home while keeping your existing interest rate. You may be able to avoid prepayment charges by porting your mortgage. Prepayment privileges: You can make lump-sum prepayments or increase your monthly payments without having to pay a charge. This can help you pay off your mortgage quicker and save on interest charges. How often can you make your payments? By switching from monthly payments to accelerated weekly or biweekly payments, you can pay off your mortgage faster. Explore your options for mortgage payments and see how much interest you could save by using FCAC's Mortgage Calculator Tool at: www.itpaystoknow.gc.ca. What types of mortgage charges might you have to pay? You may have to pay charges if you prepay large portions of your mortgage due to unforeseen life changes, such as marital breakdown, death of a spouse or relocating for a job. It is your right to know how lenders calculate prepayment charges. Read your mortgage contract carefully and make sure you understand how charges will be calculated before you sign. How much do you need for your down payment? A down payment is the portion of the property's price not financed by the mortgage. You will need a down payment of at least 5% of the purchase price of the home. For example, to buy a home for $200,000, you will need at least $10,000 as your down payment. If your down payment is less than 20%, you will need mortgage default insurance. Are you planning to purchase a property with less than 20% down payment? If yes, you require mortgage default insurance which generally adds 0.5% to 3% to the cost of the mortgage depending on the total amount borrowed. Mortgage default insurance enables you to purchase a home with a minimum down payment of 5% (10% for multi-unit dwellings) with interest rates comparable to those of a conventional mortgage. Major providers of mortgage default insurance include Canada Mortgage and Housing Corporation (CMHC), Genworth Financial Canada, and Canada Guaranty Mortgage Insurance Company. First-Time Home Buyers' Tax Credit - a $5,000 non-refundable income tax credit on a qualifying home. The credit provides up to $750 in tax relief to assist first-time buyers with purchase costs. For more information, check the Canada Revenue Agency's (CRA) website: www.cra-arc.gc.ca. Home Buyers' Plan - a one-time withdrawal up to $25,000 from a Registered Retirement Savings Plan (RRSP) by first-time buyers to help purchase or build a home. Generally, you have to repay all withdrawals from your RRSP within 15 years. For more details, visit CRA's website at: www.cra-arc.gc.ca. CMHC Green Home program - when you use CMHC-insured financing to buy or build an energy-efficient home or make energy-saving renovations, you may qualify for a premium refund of 10% on your mortgage default insurance and premium refund for a longer amortization period (if applicable). Check out CMHC's website for more information: www.cmhc.ca. One of the best ways to make sure that your Christmas holidays will be merry and stress-free is to plan out your Christmas budget well ahead of time. It’s easy to stay focused on our day-to-day obligations and put holiday season budgeting on the backburner, but the sooner we get a grip on the Christmas budget, the better it will be for our wallet and for our general sense of well-being in the long run. With that in mind, here are 6 easy tips to help you budget for Christmas in a timely and efficient way. 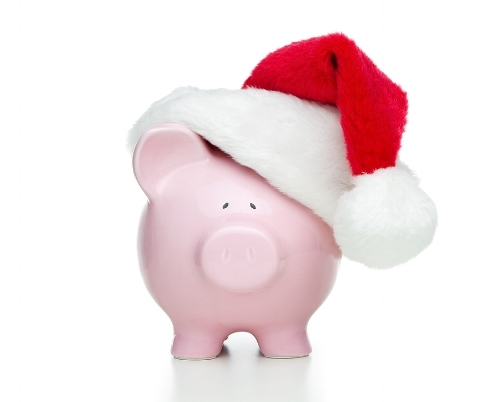 The most simple things are often overlooked, but actually writing out your Christmas budget is very important. Throughout the Christmas season advertisers will spend MILLIONS on targeting your impulse to spend without thinking, so if you want to stay on budget you need to have a concrete battle plan. Write down what you plan to buy and how much you can afford to spend, and review the list on a regular basis to remind yourself. Now that you have your list, treat it with respect. Look it over often – daily if possible – and make sure that you are not going over budget. Spending more on our loved ones can be tempting, especially during the holiday season, but if you stick to your carefully planned out budget you will be thankful that you did come January. In the majority of cases, our loved ones will appreciate the thought and care that goes into a gift far more than its retail price. Children especially don’t value gifts based on price but on the enjoyment that they get out of them. With that in mind, look for presents that are thoughtful and affordable, and forget about expensive jewellery and other overpriced trinkets. The tradition of a group of friends or colleagues drawing names and then buying a gift for only one other person in the group can be a huge money saver. 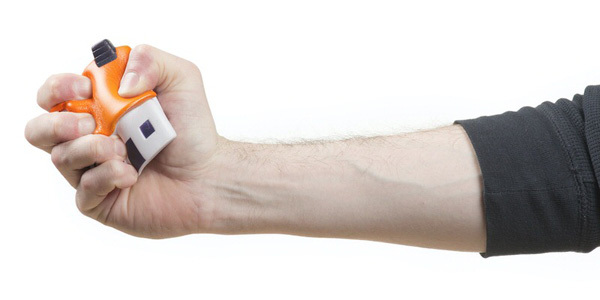 This way everyone gets a gift, and everyone saves a lot of money. Consider employing this strategy whenever possible. 5. 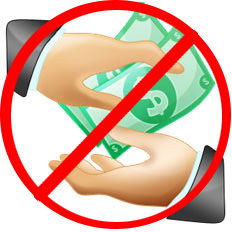 Do NOT Borrow Money for Christmas! This seems obvious, but many people will still do it. The whole point of budgeting for your holiday spending is so that you don’t end up in debt come January, which can put a dark cloud over what is supposed to be the most wonderful time of the year. If you catch yourself thinking about borrowing money for your Christmas shopping, THINK AGAIN! Many of us have old gold and jewellery locked away somewhere inside our homes. If you haven’t worn it in a long time and you don’t plan to wear it in the future (and if there is no significant sentimental value attached), sell your old gold and jewellery and use the money to complete your Christmas shopping without accruing debt. Just be sure to research the current market value of gold and other valuables so that you don’t get ripped off by unscrupulous gold buyers. I hope that these 6 quick tips will help you have a healthy, merry, and stress-free Christmas! For more information about Christmas budgeting and other financial and real estate tips, feel free to contact me at Barbara.Grumme@Century21.ca. The Market is Slowing, but We Can Help You Keep Going! When compared to the same month last year, the August 2017 real estate market did not perform as well as hoped. The number of homes sold has decreased, and in Niagara Falls in particular home sales decreased by 36% compared to the same month last year. On top of that, the average sale price in Niagara Falls dropped by 3%, although the average sale prices in the Niagara Region as a whole increased by 21% since this time last year. Keep in mind that these numbers reflect the true average price of all the sales and may not apply to each property specifically. So the bad news is that the market has slowed down, but the good news is that this is still a sellers’ market. In my 30 years of real estate experience I have seen many ups and downs in the market, and as the old saying goes “When the going gets tough, the tough get going.” Ashley and I have powered up our comprehensive market plan and together with our team of experts we are working hard to get your house sold for top dollar. If you are getting impatient and want to increase the chance of getting your house sold sooner, call us today to arrange a meeting. We will put our decades of experience and team of qualified experts to work for you! For more information, call Barbara Grumme at 905-356-9100. Fewer homes in the summer. Lower average home selling price in the summer. That’s this year’s headline. But it could also apply to last year or the year before or the year before that. year isn’t much different. Except that this Spring, we saw ridiculous price increases in the 20% range. That’s just not sustainable. Check out some of these graphs from Canadian Real Estate Association. This summer, house prices have fallen a little more than average. And sales are also down compared with the last 2 years. But listings haven’t increased. In fact, listings dropped in July signalling we could have reached the bottom. Hey, if we were in a housing bubble, you would have seen new listings continue to spike up. That’s when we know the market will have changed gears. Some are speculating that we could see a busy Fall market this September or October. The Fall has historically been the 2nd busiest housing market. If we look at Vancouver in 2016, after they announced their 15% Foreign tax rule, their market went soft and was very quiet. Many pessimists were saying it was the bubble bursting. Six months later and Vancouver’s market is busier than ever. Fully recovered. The initial shock of the Foreign tax rule came and went. We could see that same sort of comeback for Toronto. To the Federal govt: Please, no more mortgage rule changes. Let the market absorb all the massive changes already made. Listen, I’m telling you with 28 years of mortgage lending experience.. I can’t recall when qualifying for a mortgage has ever been harder… and I was around during the last real estate recession of 1990. Non-bank lenders are being penalized as their cost of funds are higher than BIG SIX BANKS (thanks to the new Fed govt mortgage rules), hence driving more customers towards the BANKS… THE WINNERS: BIG SIX BANKS. THE LOSERS: CONSUMERS. Let’s bring back competition among Mortgage Lenders… and let’s make mortgage financing accessible again. The pendulum has swung way too far to the conservative lending side. BANK OF CANADA RATE HIKES ON HOLD? The Bank of Canada hiked the Prime rate by 0.25%. It was headline news for weeks. Many said this was the 1st of many hikes to come. Today, the forecast is for a possible October hike. But that isn’t a sure thing. And if the uncertainty with the housing market continues or if the NAFTA trade agreement gets turfed like President Trump says, you can bet the Bank of Canada governor will think twice about raising the rates. More likely a rate drop! Stay tuned.. Maybe we’ll see a Spring market in the Fall?